We’re here to help you turn your interest into action. We’ve been collecting best practices across a number of industries and organizational size and can help you find simple and effective paths forward. 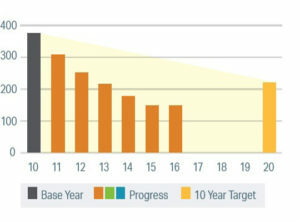 We start with a mutually created sustainability plan and continue with update reports three times a year. We help you reduce your impact and boost your capacity through green team support, collecting energy data, sustainability policies, press release, energy reduction supports, or many other things. We provide members with dedicated time to help them reach their sustainability goals. 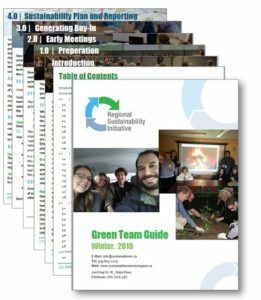 All of our resources are available to you through MemberLink, including the best of our ideas written down in our Living Documents (The Idea Book, Green Team Guide) that we update regularly. Reporting is a key component of all sustainability plans and we want to make your job easier. We’ll take you through a materiality assessment that will focus our collective efforts to make your goals a reality. 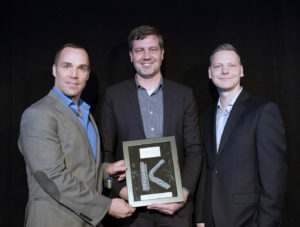 From there, we will send you an individualized report that includes key sustainability indicators including: your Leaderboard score, sustainability badges, event attendance, policy development, milestones, carbon footprint, waste footprint, water footprint, E-score, recommendations, and achievements. We’ll shine a light on what your peers are doing, too. Our Energy and Sustainability System is a key source of information that is available 24 hours a day through web-based log-in. Sustainable Waterloo Region hosts over a dozen events a year, bringing the sustainable community together to network, learn, share experiences, and collaborate. Membership includes event passes to be used throughout the year! 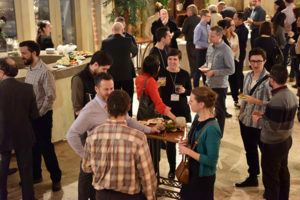 These events range from small peer-to-peers, to mid-size technical events, to larger gatherings where experts from the broader sustainability community share their approaches and achievements. 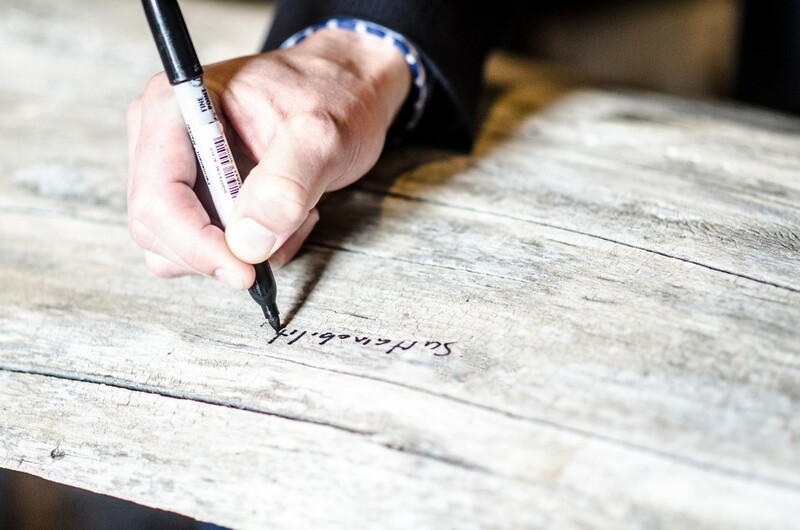 In all cases, our events provide you the opportunity to connect with other sustainability leaders. Check out the events page to see what’s coming up. Tracking your environmental impact is the best way to find saving opportunities, eliminate greenwashing (misleading or overstated environmental claims), and build integrity. Our Energy and Sustainability System measures your selected target areas; greenhouse gas footprint, waste diversion, and/or water footprint. 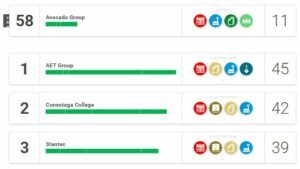 It provides you with both numerical and graphic-intensive data to show the progress your organization has made and highlights areas of opportunity for further impact and action. Success ought to be shared, especially in the growing field of sustainability. The Regional Sustainability Initiative not only recognizes your commitment to sustainability, but also celebrates your leadership. We use scorecard badges, contest points, social media, events, blogs, press releases and more to share your stories. At the center of our recognition is Sustainable Waterloo Region’s Evening of Recognition. This community event brings together the entire sustainability community to honour our members’ efforts, share their stories, and celebrate their progress. We also present awards to organizations that made significant achievements over the previous year. 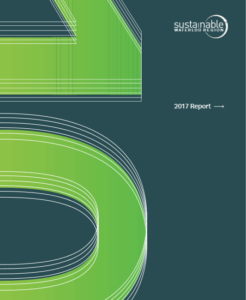 It’s at this event that we release SWR’s annual year-end report, showcasing the efforts and achievements of all of Sustainable Waterloo Region’s programs. 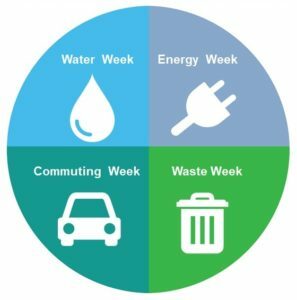 The Carbon Cleanse is a month-long sustainability challenge following four weekly themes: energy, water, waste and commuting. The friendly, inter member challenge is designed to engage employees and each participating member collects points by participating in pre-designed champion and staff challenges. The Carbon Cleanse trophy is up for grabs to the winner and it’s presented during the Evening of Recognition. The Regional Sustainability Initiative team provides you with communication templates including posters and emails, social media support/promotion and weekly planned activities. The Cleanse is designed to help all members of your team engage in sustainability activities, integrating into all areas of the business, even where it is not always central to their operations. Social media is leveraged to get members of the Regional Sustainability Initiative challenging each other to consider doing more, be creative in its implementation, and have fun along the way. Throughout the year, members earn points and badges by participating in Regional Sustainability Initiative activities, and are on display on the member-only webportal, MemberLink. Points are awarded for actions such as attending events, sharing case studies, completing a baseline, and much more. This is a great way for members to stay up-to-date on their participation in events, see what other members are up to, and show some competitive spirit. The member with the highest score wins the “Most Active Member” award at the Evening of Recognition. You want to have your own sustainability drive, get your team going? The Regional Sustainability Initiative team members offer direct support to help you with this, including green team participation, coaching, and day-to-day support.